Are you feeling low, sleeping badly and finding it difficult to concentrate or find the energy to do your usual activities? Anxiety and depression are more common than you think, you are not alone. According to The Mental Health Foundation, 1 in 4 adults will experience some kind of mental health problem in the course of a year, with mixed anxiety and depression the most common in Britain. Sometimes it just takes a certain set of circumstances (poor health or a bereavement for example) to set you on that downward trajectory. You might have experienced a harsh response from a respected senior manager which upset you, or had a bad bout of ‘flu that has left you feeling low and anxious about picking up your usual responsibilities. Sometimes it just seems to be a slow slide down and then that “black dog” begins to follow you around. When you have a feeling of wellbeing, it is because your body is producing serotonin mainly while you sleep. We produce this chemical at night in deep sleep, so when you have disrupted sleep on a regular basis, this often leads to feelings of anxiety all the time, draining you of energy, disrupting your sleep and leaving you tense and low. It becomes a vicious cycle as the anxiety and low energy and mood lead to another night of poor sleep and on it goes. Hypnotherapy and solution-focused brief therapy enable the tired and anxious mind to rediscover calm and confidence. Hypnosis can bring relief from feelings of anxiety and less tension in the body. When you have some effective strategies to get you sleeping again, you will begin your journey back to the happy, energetic you. Getting up in the morning to make the most of the daylight and sunshine, which also improves mood, and having the energy and motivation to make the most of your day will be a wonderful experience again. Low mood and anxiety are trance states, so part of the therapy is about getting you out of that old negative trance, and re-engaging with a more hopeful way of looking at life. When you begin to dream (in guided visualisations) about times you have been happy, confident and enthusiastic, you naturally begin to re-learn those ways of thinking and acting. This allows your body and mind to rediscover a more helpful and positive view of yourself and your world. Neurones that fire together wire together, and the clouds begin to lift. When your body is in “fight or flight” mode, you will find your thoughts are very focused on problems or threats. This is one of the effects of adrenalin on the brain. With hypnotherapy you will learn to relax yourself comfortably and quickly so that you can maintain a view of the bigger picture, with more possibilities and alternative outcomes. James had been plagued by episodes of low mood and lacked energy and enthusiasm to engage with hobbies now that he was retired. He was sceptical that hypnotherapy would help but his wife was very keen for him to regain his more cheerful demeanour and so he agreed to attend. We talked about times he had felt more “like himself” and pinpointed thinking styles and habits that lifted his mood. When he was deeply relaxed we re-visited those times to let him absorb that more hopeful part of his character. 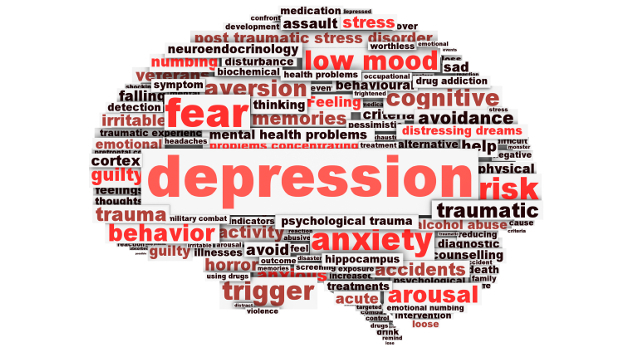 We also did some work to deal with some traumatic experiences that had preceded the first bout of depression. Therapy naturally came to a close as he began to get curious about developing interests and make plans to pursue them. Nicola Preston Bell truly understood my depressive illness in a way that so many other mental health professionals could not. Nicola carefully guided me through the fear and dark days that trapped me from my family, work and life. She helped me to eventually challenge depressive episodes and fears. This was slow and difﬁcult and at times even painful, but through a combination of counselling, hypnosis and empathy gradually Nicola began to impart skills and changes in my behaviour which led me through to recovery. What has amazed me the most is that these skills are still with me today. I, so far, have been able to ride life’s ups and downs in completely different ways and ways that have protected me and given me new self-conﬁdence and strength. I still follow Nicola’s advise through her website and newsletters. I highly recommend Nicola to anyone, of any gender or age, who is feeling distressed or unable to cope and move on from the difﬁculties they are facing. Download our handout on hypnotherapy for anxiety and depression.